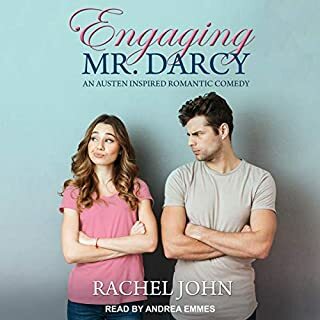 After a standoff in the pizza parlor, Elsie Bennet has decided Fitzwilliam "I-Throw-Fitz" Darcy is the worst customer she's ever encountered. Also the best looking, but that's beside the point. She's horrified to discover Will is not just passing through her small town, he's her new neighbor. Will Darcy has all the money and time he could ask for, and yet life never seems to meet his expectations. When his best friend, Charlie, starts dating Jane Bennet, Will becomes their unhappy third-wheel. The solution? Bring along Jane's sister, Elsie, a girl who challenges him. Elle is cursed with a genius younger brother; a brother who has absolutely no idea of the problems he will face as a 13-year-old senior. Desperate to protect him, she reluctantly asks the school’s new bad boy, Nate Clark, for help. Unfortunately, the only way this will work is if everyone believes Nate cares enough for her to get involved. The last thing Nate Clark ever expected was to get close to someone like Elle Watson. Girls like her should know better. But he’d learned long ago that when a chance like this came along, seize it, and figure out the details later. Waking up in Vegas was never meant to be like this. Evelyn Thomas' plans for celebrating her 21st birthday in Las Vegas were big. Huge. But she sure never meant to wake up on the bathroom floor with a hangover to rival the black plague, a very attractive half-naked tattooed man in her room, and a diamond on her finger large enough to scare King Kong. Now if she could just remember how it all happened. What's the first rule of reinventing yourself as a cool girl at a new school? Steer clear of your old crush. A new school means a fresh start. So long Ronnie Smith, invisible tomboy, and hello Veronica, popular new hottie. This is my chance to finally be seen...and kissed. Yeah, that's right. I've never been kissed. But I mean to change all that now that I'm starting over with a new look and attitude. So, why am I so upset when he doesn't have a clue who I really am? Have I mentioned lately how much I am loving Maggie Dallen? No? Well I have a serious girl crush on her work right now! I have devoured ever audio that I have found and they just keep getting better and better! 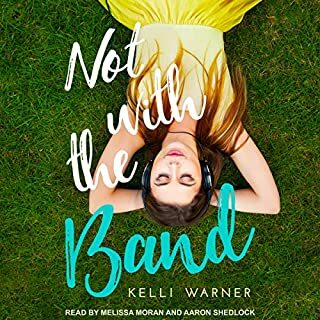 This on is a YA romance that brings to light what it is like to be in high school and trying to figure out who you want to be. It touches on so many important high school moments from bullies to first love. It was truly amazing! The narration was pure perfection! It is dual narration with Lauren Fortgang and Josh Hurley. 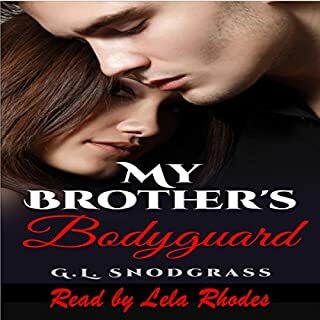 Both narrators fit the characters perfectly and they brought out much emotion in their voices. The work was clean, clear, and well edited! I have recently found and fallen in love with Maggie Dallen and her writing. This was different than the others in that it was YA/NA but it contained the same great humor, chemistry, and writing. She writes characters that you can't help but fall in love with. I love the natural way her writing flows. It is perfectly adapted for a wonderful audiobook! The narration in this was fantastic! Lauren has such great timing and personality that she adds to her characters. Josh was a wonderful new addition for me. They both have voices that are perfect for audio- they are clear, entertaining and swoon-worthy. The production was clean, well edited and well worth a credit! Love this series and being able to listen to it made it even better! Narrators were great they really fit the story well! Drew and Ronni are completely adorable and you're shipping them the whole time. it's an easy listen and without all the dramatic happenings that most stories thrown in. It's a guaranteed HEA. This is the first book in the Briarwood High Series. This is a sweet High School Romance. Ronnie and Drew's story is really cute. Lauren Fortgang and Josh Hurley did a great narration. 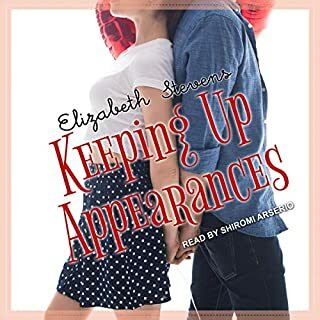 I recommend this audiobook if you like teenage/young adult stories! A super light and sweet listen that I really enjoyed! YA all the way, about two high school kids finding themselves and finding love. I didn’t want it to end! The narration is really good! They are both new to me and definitely worth it. This was a sweet listen. There is nothing like falling in love while finding yourself. Everyone has to find their new normal. This was a fun, light and cute book. High school kids learning about themselves and falling in love. A sweet high school romance between Ronnie /Veronica and Drew . The teenage romance has it all . 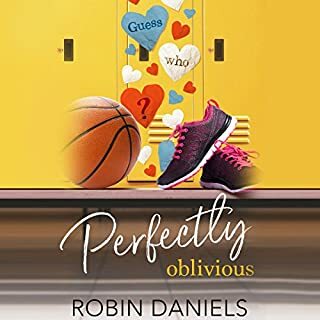 Sweet romance , high school drama , and so much more ..
Narrators ; : 5 stars ...Lauren Fortgang, Josh Hurley did an amazing job acting out Ronnie , Drew , and the other characters . 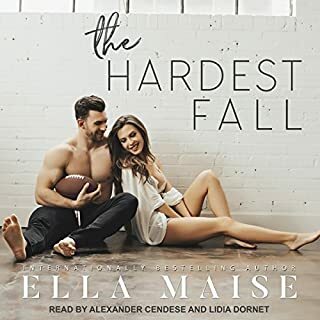 I can't wait to listen to the other audible books in the series . 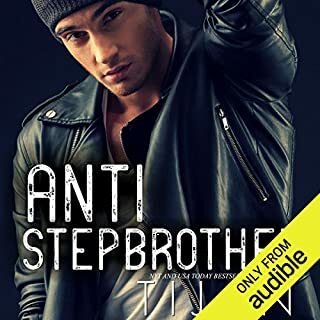 This is my first audio that I have listened too without reading the book first. It was a cute teenage book. Loved by storyline. And the narrators did a good job. Easy to understand. You get sucked into it and want to keep listening until you have devoured it all. Veronica/Ronnie only wants to be seen. And drew is the star of the baseball team. Suitable for those teenagers who are just starting out on the romance reads. This was a cute, fun YA romance. Short and sweet. Ronnie thinks that she needs to recreate herself as Veronica in order to stop being seen as just a tomboy. I loved the dual narration.The two narrators enhanced the reading/listening enjoyment. this book was a. cute hometown romance story! Ronnie reinvented herself over the summer and fell in love with an old friend. I really enjoyed this book I thought both the narrator and the story was great. this is a young adult story where I feel that the characters actually portrayed what I think of as high school students. I feel like the author did a great job I could actually see the story taking place in real life. This story was told in dual point of view which is one of my favorites to listen to and I think it was really good job. I enjoyed this story in look forward to listening to more from this author. Veronica is tired of being invisible and she changes schools and how she looks to become popular. She soon learns that she was never invisible and that being among the popular kids is not what she thought it was. Good YA book with a little romance in it. This book is a fun, quick read. The story centers around Ronnie and Drew. I enjoyed the dialogue and writing . You laugh and smile and believe you’re actually listening to or about the neighbors next door. Very real, and situations that are valuable. !!! Thank you. She is the tomboy at her high school. She wants a new start. She didn’t think anyone would know her then she sees Drew. Sweet young adult romance. Maggie Dallen writes to support and lift up every teenager showing them that we're all the same and everyone has troubles. I was glad Veronica finally found her true self. Wish we all could that early in life. The narrators did a great job! Overall, I loved it and would listen to it again! Great Story & Audible Listen🎧 Veronica💘Drew! This is an enjoyable, young adult romance. The story is well written and grabs you right from the start. The storylines and characters are interesting and well developed. 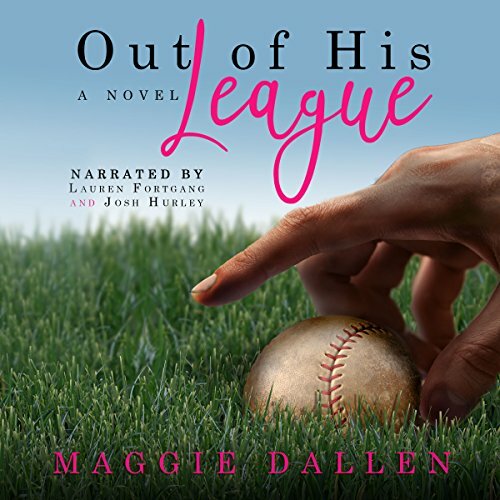 Maggie Dallen does a wonderful job capturing H.S drama and the struggles of teenage living, peer pressure, popularity, bullying, dating and all that fun stuff. The two lead characters, Veronica and Drew are likable and realistic, I liked the chemistry between them and was happy when it finally clicked for them. This is a great start to a YA series, I highly recommend this story and this author. 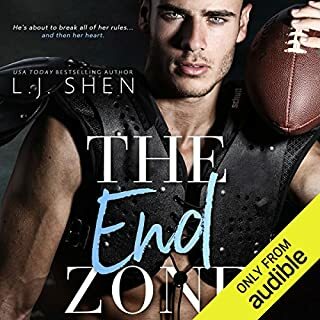 I listened to the Audible edition, narrated by the talented Lauren Fortgang and Josh Hurley. They are awesome voice performers and storytellers. They bring the characters to life giving each their own voice making easy to follow along. They added the perfect amount of dramatic flair which enhanced an already great story another level. Thank you for this great and entertaining audio listen. I love YA, it is always special to me for some reason, and I especially love the ones about the odd girl out. This was a sweet fun listen and I really enjoyed it! Lauren Fortgang and Josh Hurley bring this story to life with the narration. I love Fortgang. Her abundance of voices is amazing, and she can play both the teenager and the adult with ease. This was my first Josh Hurley listen, and I found his voice perfect for those teenage boys. He gave them each the personality necessary to make the story believable and fun.